Why are vaccines “one size fits all”? How did we go from 7 shots (24 doses) being “fully vaxxed” to 50 (69 doses) in ONE generation and not think twice about the effects of all those chemicals and diseases being injected to our children’s newly and still developing bodies, and assume that there cannot possibly be ANY repercussions from this? Why do so many choose to refuse to acknowledge that possibility? I never wanted my children to be vaccinated. Not even a little bit. And up until today, I have only been honest about that with a few people that I went to for support when I was pregnant with my first. I did not get that support. If you are a believer in vaccines, then anyone that thinks twice about it is “the problem.” With my oldest, I was open with our pediatrician about my concerns and the fact that I was totally against what I was about to do. She was completely supportive and offered a *VERY* delayed schedule, and I took it. I felt like I was getting what I wanted, just a little bit. 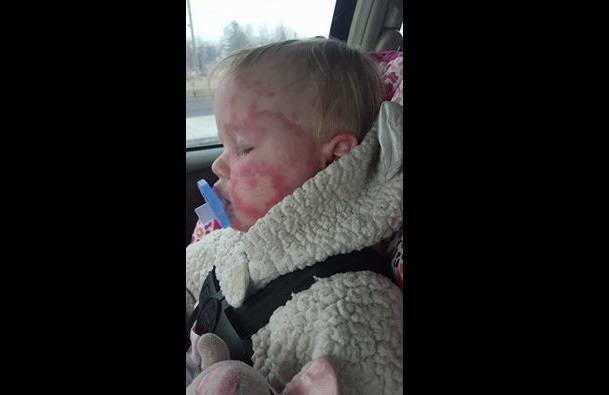 She was constantly sick with colds and ear infections the first two years. She was on Claritin for allergies, but all in all seemed “fine,” so we stuck with it. Then Izzy came along . . . Izzy was vaccine-injured at six months old.